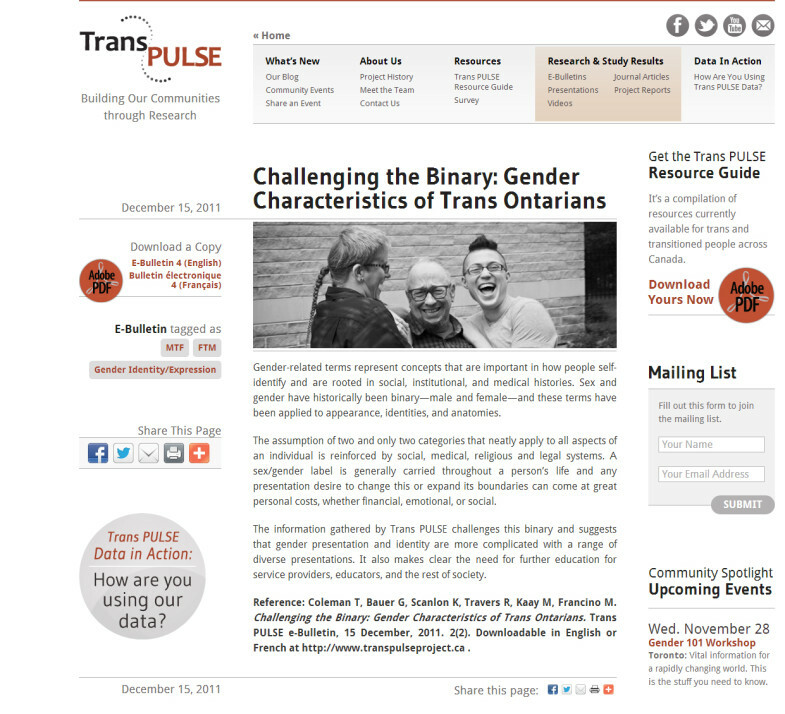 A screenshot of the Trans PULSE home page. 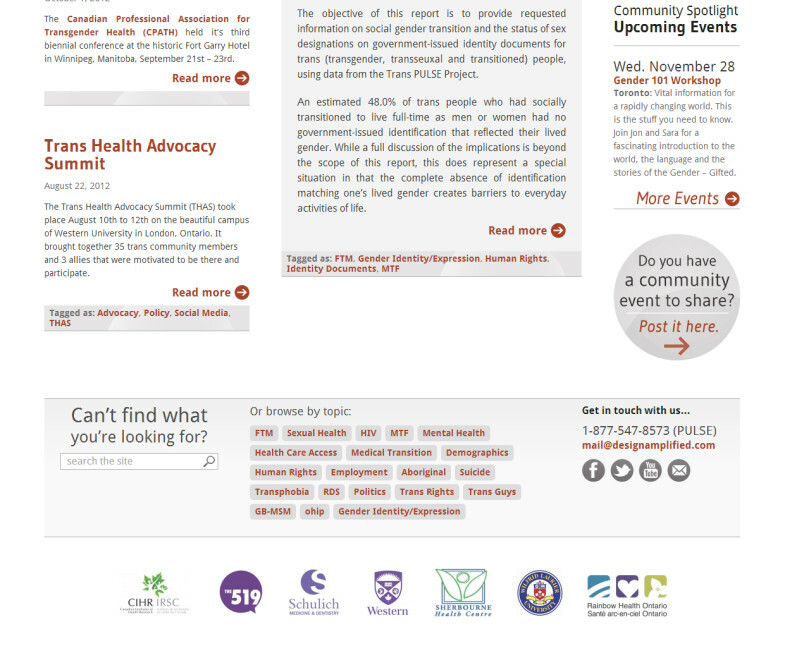 A screenshot showing the website's footer. The client can create a page for each research item with download links, article request forms, pull quotes and share buttons. 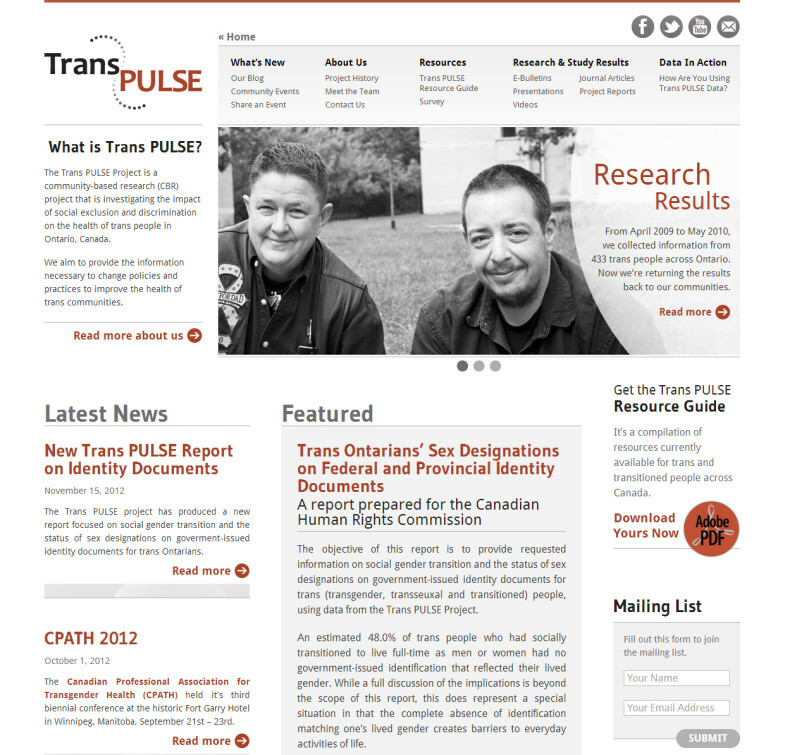 View the live site at TransPulseProject.ca. 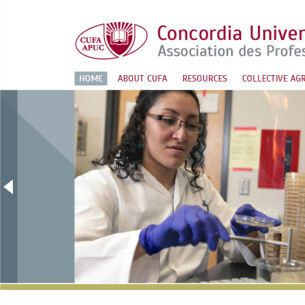 This site created for a community-based research project is designed to present a large amount of information in an easily digestible format. The client is able to maintain their ever-growing library of research and study results, and create new tags and categories to sort the information to make it easy for users to browse by topic or find something specific. 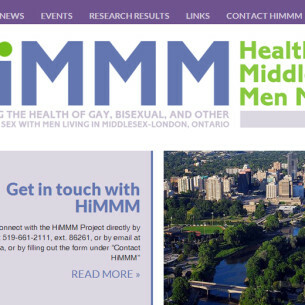 The website includes a blog and community events calendar, which can also be managed by the project’s team behind the scenes. 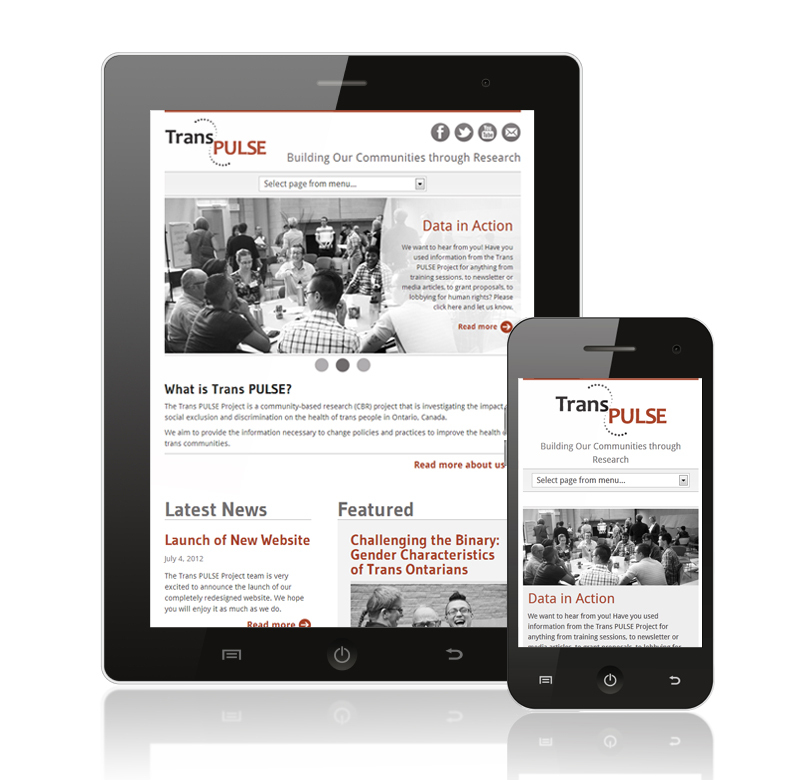 Interactive web forms allow visitors to submit community events and share how they are using the project’s data on the site. The client is able to receive notifications and moderate which submissions are published. 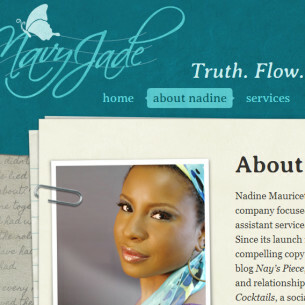 The site uses responsive design to present a customized layout for different devices and screen sizes.